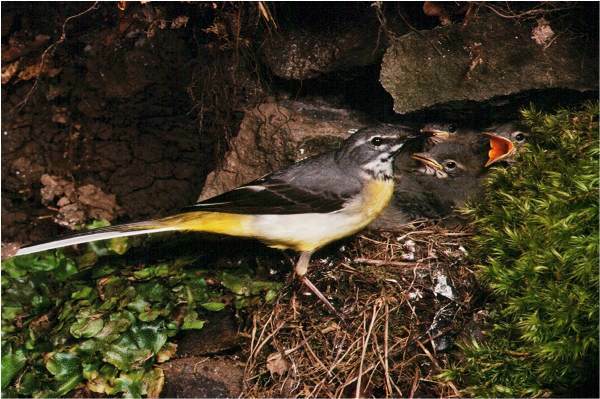 Grey Wagtails feed on insects, most of which they collect from emergent vegetation and stones beside the stream. They usually make steam-side nests among tree roots or in crevices in rock walls and revetments. Breeding occurs between April and July, with three to six eggs in the first clutch and fewer in any later broods. 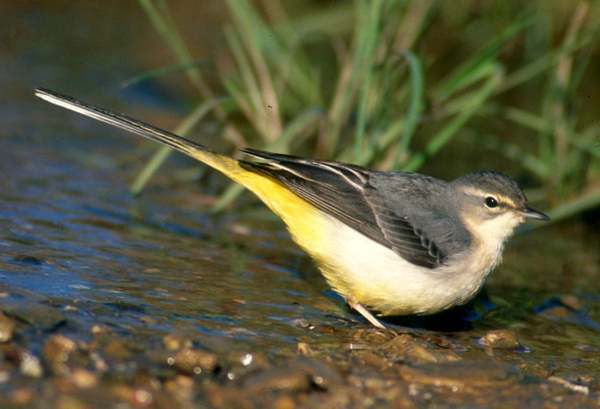 Grey Wagtails and yellow wagtails are often confused; the grey wagtail is resident here all the year round and has a grey head, grey-blue back and very long tail. 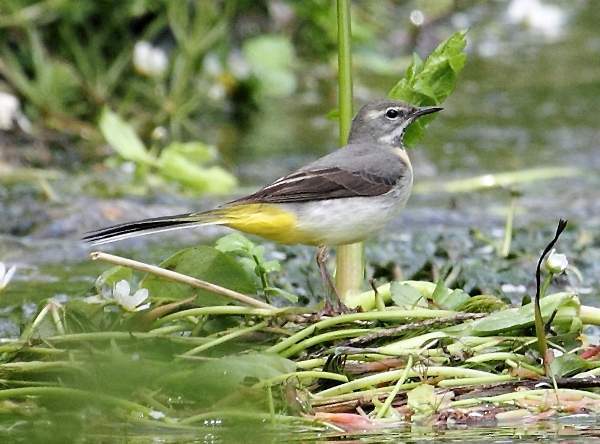 The Yellow Wagtail, with which it is sometimes confused, is a summer visitor; it is somewhat smaller, has an olive back and a shorter tail and the male in particular has more of a yellow face. This page includes pictures kindly contributed by Will Bown, Melvin Grey and Ray Tipper.